The rise of Ryu Jun-yeol as an actor has been an interesting one to watch. Starting his film career in the excellent 2015 social thriller “Socialphobia”, he really exploded on the scene in 2017 with three important and appreciated supporting roles in hit films “The King”, “A Taxi Driver” and “Heart Blackened”. These were followed by equally lauded roles in “Little Forest” and “Believer” in 2018. Only two months into the new year, we have the trailer for his second film of 2019, and his first leading role, in director Park Noo-ri’s “Money” (literal title). Il-Hyun begins to work as a stock broker. His dream is to become rich. Il-Hyun meets a stock market scammer known as “Ticket Man”. He asks Il-Hyun to help in a stock market scam. Meanwhile, Han Ji-Cheol works for Financial Supervisory Service and has chased “Ticket Man” for a long time. He senses something suspicious with Il-Hyun. “Money” is director Park Noo-ri’s directorial debut, who comes with good experience, after having served as an assistant director on Ryu Seung-wan’s thrillers “The Unjust” and “The Berlin File”. 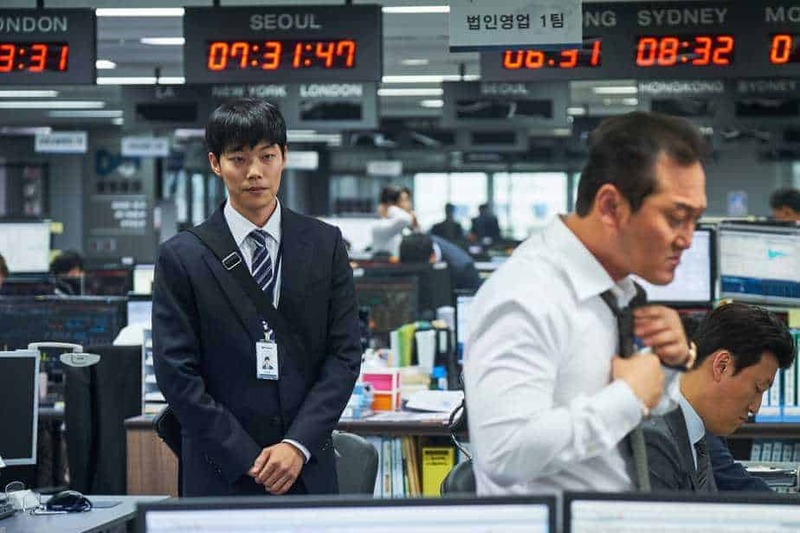 Joining Ryu Jun-yeol as “Ticket Man” is Yoo Ji-tae (“Oldboy”), who seems to have found a taste for scams, for his previous film “The Swindlers” also saw him in the role of a scamster. The film also features Jo Woo-jin (“Default”, “The Fortress”), Won Jin-a (“The Age of Shadows”, “Steel Rain”) and Jung Man-sik (“Asura: City of Madness”, “Veteran”) in important roles. it is expected to hit Korean cinemas in March, 2019.